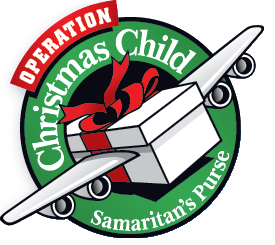 St. Matthew’s UCC Sunday School classes are working on a mission project for Operation Christmas Child, to fill shoe boxes with small gifts for children. Our goal is to fill 40 boxes. … to demonstrate God’s love in a tangible way to needy children around the world, and together with the local church worldwide, to share the Good News of Jesus Christ. Shoe Boxes – We will decorate the boxes with Christmas Wrap. No boot boxes please. Toys – Small cars, balls, dolls, stuffed animals, kazoos, harmonicas, yo-yos, jump ropes, small Etch-A-Sketch, toys that light up or make noise, extra batteries, slinky, etc. School Supplies – Pens, pencils and sharpeners, crayons, markers, stamps and ink pads sets, writing pads or paper, solar calculators, coloring and picture books, etc. Hygiene Items – Toothbrush, toothpaste, mild bar soap (in a plastic bag), comb, washcloth, etc. Other Items – T-shirt, socks, ball caps, sunglasses, hair clips, toy jewelry, watches, flashlights (with extra batteries). We will be filling the boxes the first Sunday in November, so please bring your donations by Sunday October 30, 2012. If you would like to donate any of the above items, you may place them in the box in the hallway near the office or in the Sunday School area, or give the items to any of the Sunday School teachers. Any questions, call Deanna at 410-751-6844.